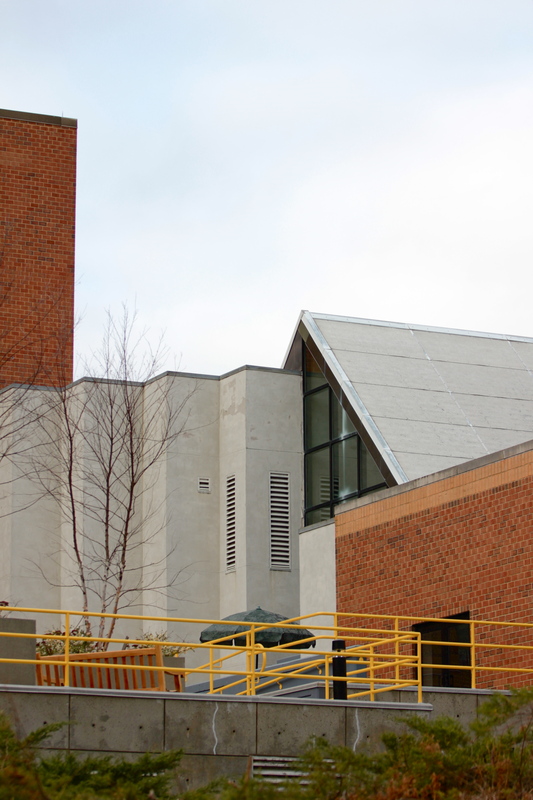 A view of the Community Safety Building from Cooke’s Hollow. March 28, 2012. 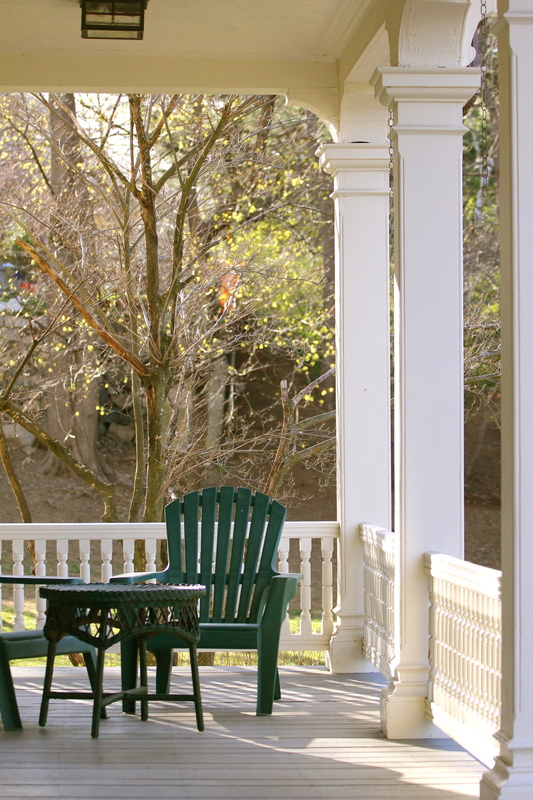 A nice spot for a lemonade and a chat on the front porch of the Whittemore-Robbins House. April 4, 2012. 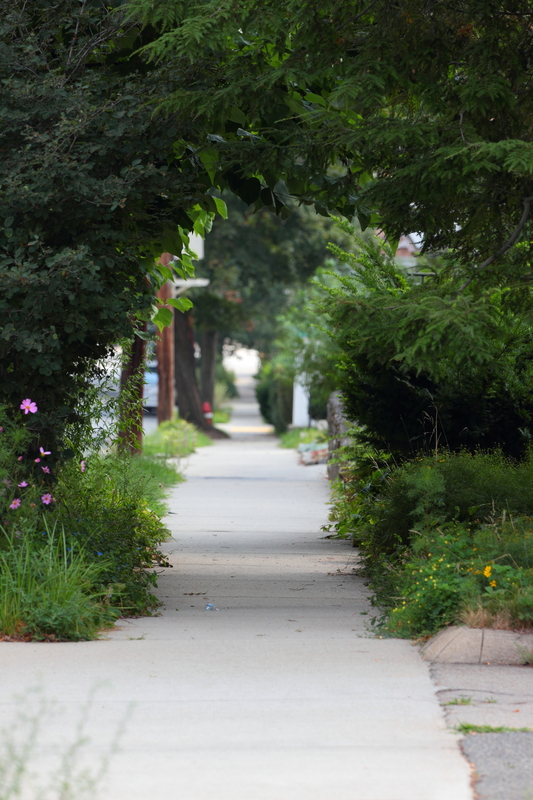 The long sidewalk going down the slope of Highland Avenue. August 10, 2012. 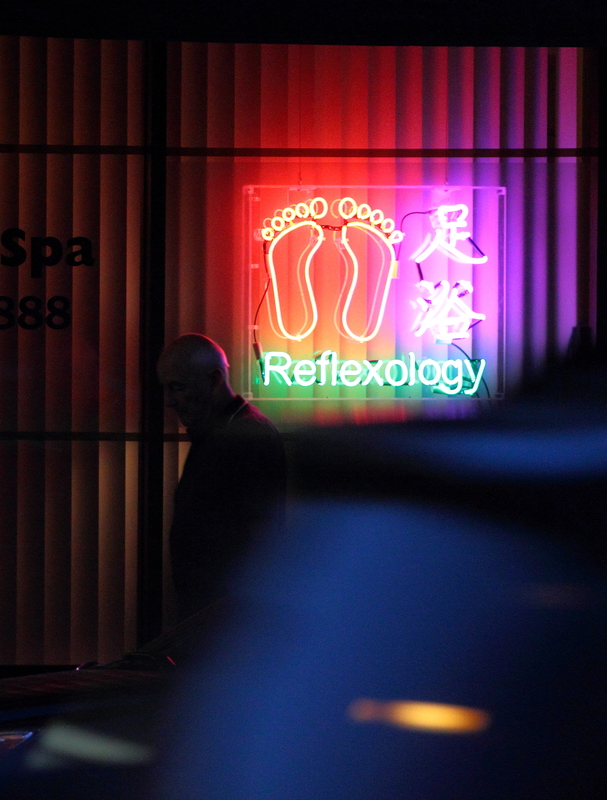 A man walks past a sign advertising reflexology on Massachusetts Avenue. August 24, 2012. 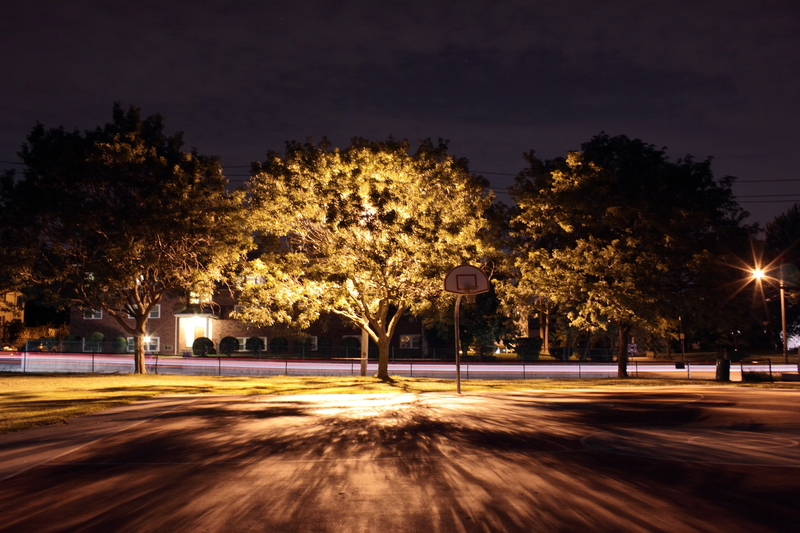 A light meant to illuminate the Buzzell basketball court instead lights up a tree from the inside. August 25, 2012. 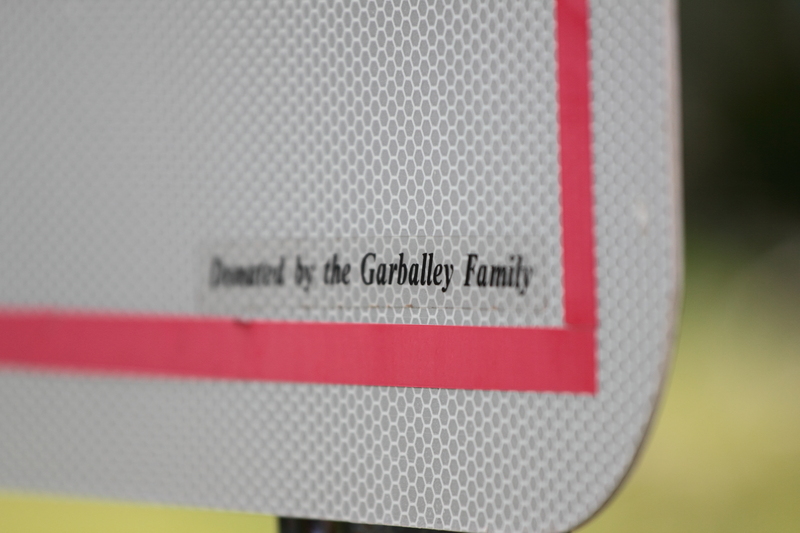 A small note on the corner of the AHS SADD sign outside Arlington High School letting the observant passer by know that the funds for the sign were generously donated by the Garballey family. August 10, 2012. See a full view of the sign in an earlier post. 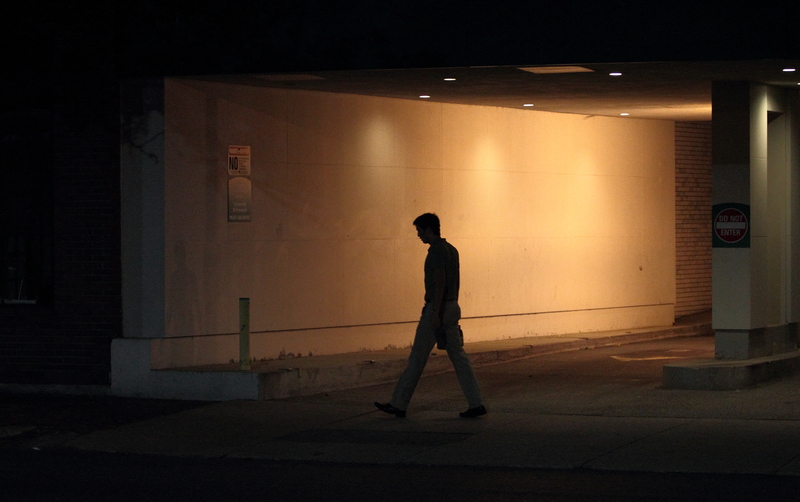 A man walks across the mouth of a drive through ATM along Massachusetts Avenue. August 24, 2012.